Iraqi-American actress, Heather Raffo, is the recipient of a Susan Smith Blackburn Prize Special Commendation and the Marian Seldes-Garson Kanin Fellowship for 9 Parts of Desire. Most recently she has received a 2005 Lucille Lortel award for Best Solo show as well as an Outer Critics Circle Nomination and a Drama League nomination for Outstanding Performance. Heather first performed 9 Parts of Desire in August 2003 at the Traverse Theatre, Edinburgh. It later moved to the Bush Theatre in London’s Off-West End, where critics hailed it as one of the five best plays in London in late 2003. 9 Parts of Desire was then developed and performed as a reading at The Public Theatre as part of their New Work Now festival in Spring 2004. Its New York premiere took place in the fall of 2004 at the Manhattan Ensemble Theater, where the show ran for nine sold out months. In 2005 the play began touring the U.S. at the Geffen Playhouse in Los Angeles. Following are new productions at Berkeley Rep, Seattle Rep, The Wilma Theatre and Arena Stage in D.C. as well as international productions. 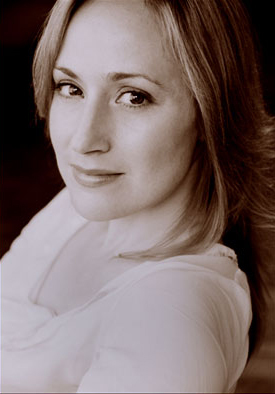 Heather’s other recent acting credits include: New York premiere Palace of the End, Epic Theater Center (Drama League Nomination); In Darfur, the world premiere The Public Theater, Delacourt; Seven, Folger, Skirball Center, and numerous national and international productions; Sarah Woodruff in the world premiere of The French Lieutenant’s Woman, Fulton Opera House. Off-Broadway: Food and Fadwa at New York Theatre Workshop, Over The River and Through the Woods, the Off Broadway/National Tour of Macbeth (Lady Macbeth), The Merry Wives of Windsor (Mistress Page) and The Rivals all with The Acting Company. Regionally: Othello (dir. Jack O’Brien), Romeo and Juliet (dir. Daniel Sullivan), As You Like It (dir. Stephen Wadsworth), Macbeth (dir. Nicholas Martin), and Comedy of Errors (dir. John Rando) all with The Old Globe Theatre in San Diego. Heather received her BA from the University of Michigan, her MFA from the University of San Diego and studied at the Royal Academy of Dramatic Art, London. Originally from Michigan, Heather now lives in New York.